Check out these tips and explanations, below, from our Heating and Cooling Expert. Of course, you're also welcome to post questions to this board for more information: Just click the "Ask about Heating & Air Contidioning" button at the top of the page. Last edited by RickJ; Dec 8, 2006 at 08:29 AM. If my answer helped, please click Rate this Answer! Below. Thanks! Blower turns on but there is no heat. 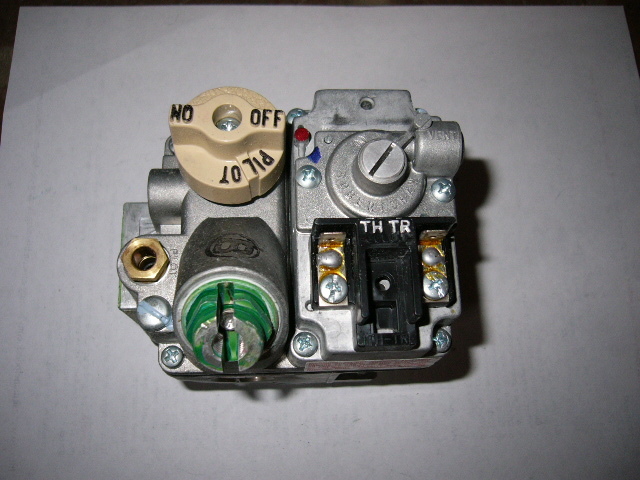 Thermostats only control a fan relay, fan center or circuit board to turn on the blower motor. 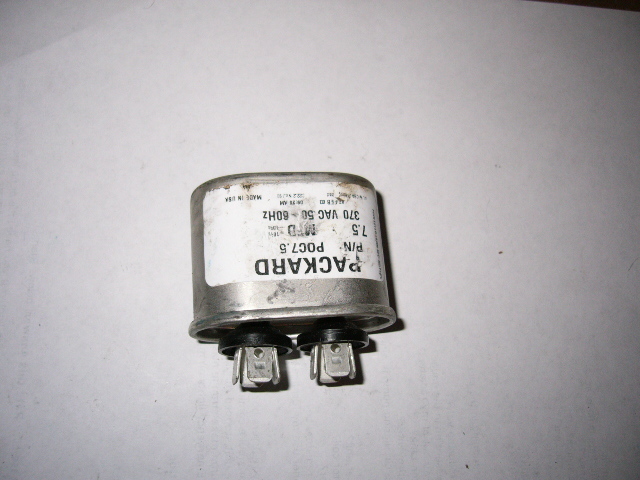 Although these relay's are necessary for cooling to work, they have nothing to do with the heating operation or outdoor cooling section of the equipment. 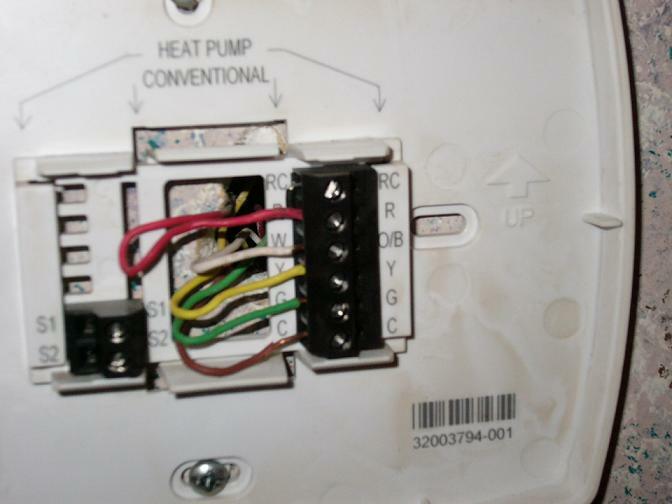 Electric furnaces may or may not use this relay controlled by the fan switch of the thermostat. The flame sensor, seen here is typically located in front of the pilot or one of the burner flames. It is used as a safety device that insures a flame is present. When a flame is present the sensor passes a small electrical current through the flame and tells the circuitry what to do. If the sensor gets dirty the current passing through the flame is to weak for the circuitry to work properly. 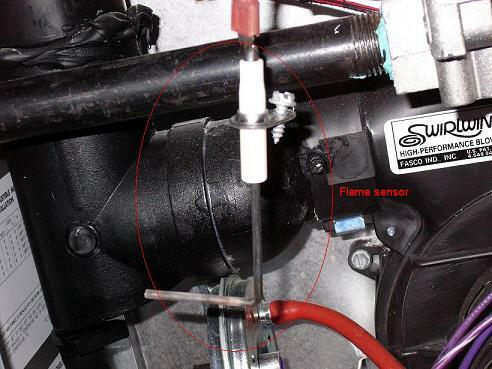 To clean the flame sensor, disconnect power to the furnace, remove the flame sensor, clean it with some crumpled up aluminum foil or some very fine sandpaper or steel wool. Reinstall it and reconnect the power to the furnace. 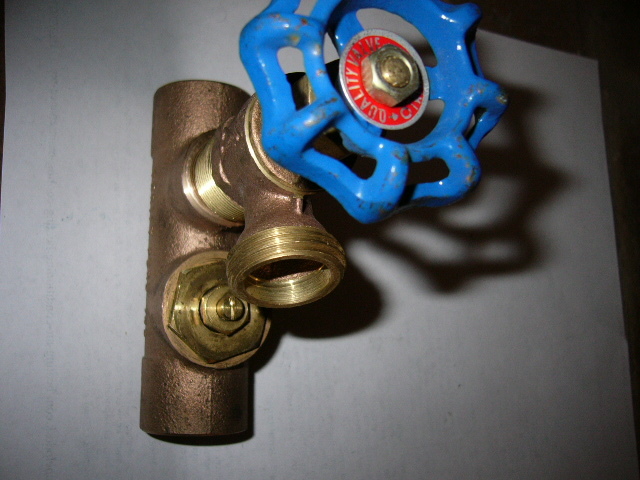 Pressure switch's are a safety device. They insure the flue pipe and inducer draft blower motor are functioning correctly. If the flue pipe becomes obstructed, or the inducer fails to start, the furnace will not ignite. Also be aware, if the vacuum hose or vacuum ports become obstructed, or fill with water, the furnace will not start. Often furnaces are installed with improper flue pipe sizes and can take a year or two for the problem to surface. Sometimes the pressure switch can simply go bad and need replaced. Where is the diagnostic light? Diagnostic lights are typically found on the circuit board. If the circuit board detects there is a problem the lights will begin to blink a code. Ex... 3 blinks and a pause, then 3 blinks-pause again, and so on. 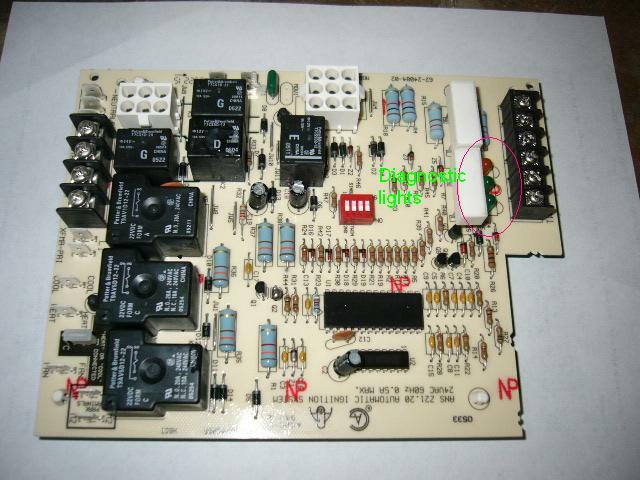 The codes are then located on one of the doors, the circuit board or in the blower compartment, describing the problem. 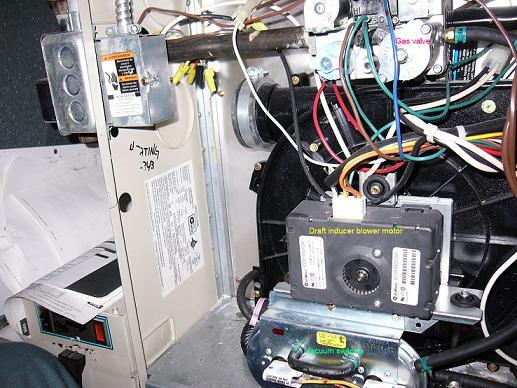 Note... on most furnaces when the power is turned off, these codes are lost, you will have to wait until the furnace malfunctions again to retrieve the diagnostic code. 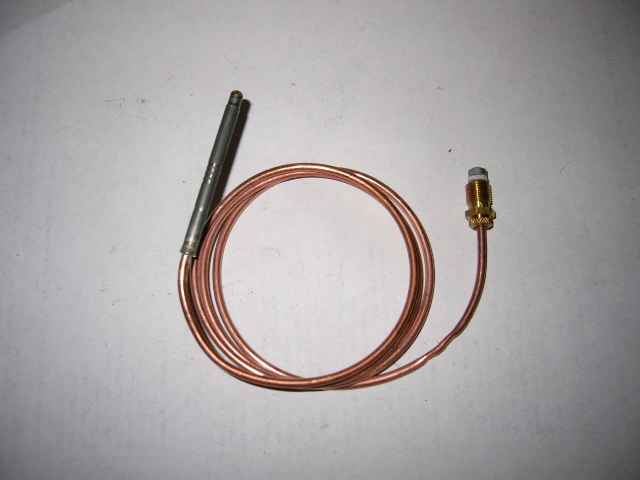 There are several fuses used in most furnaces. Fuses protect wiring and components from receiving to many amps or power. 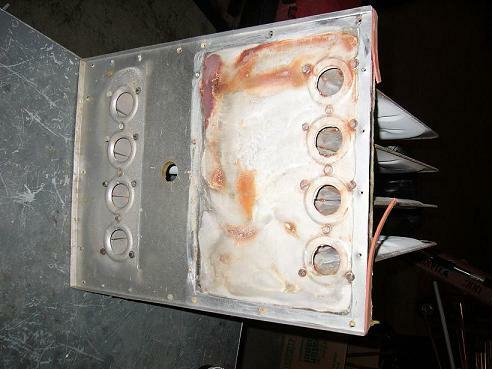 High voltage fuses can be in a breaker box or fuse panel. They can also be located on the side of the furnace by the switch that looks like a light switch, typically called an SSU. Low voltage fuses can be on the circuit board or in what is called a fuse holder. 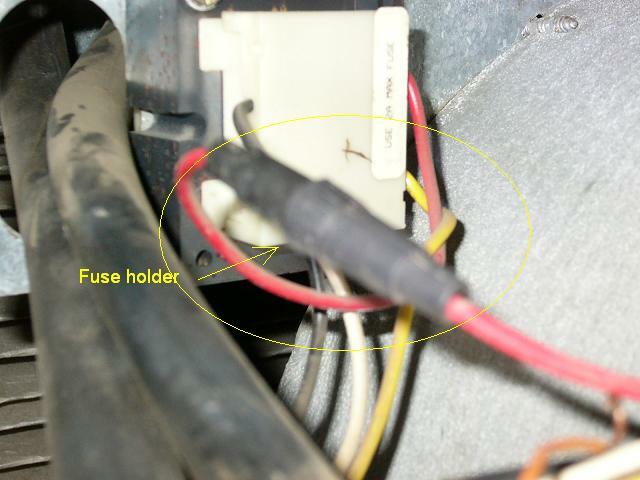 Fuse holders are typically found in the 24 volt wire leading from the transformer. Note... 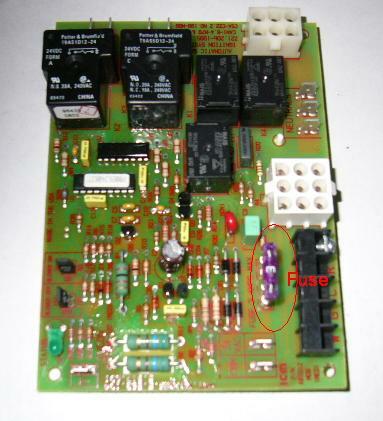 Many digital thermostats also have a fuse in them. 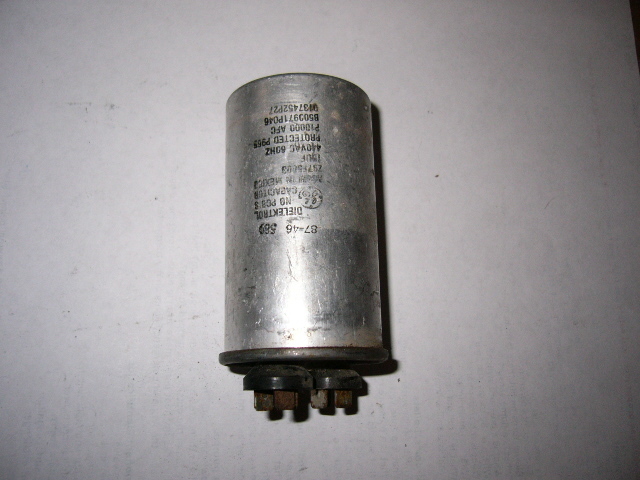 When a fuse blows, quite often, there is a reason. Either a wire has short circuited to ground or a component has failed. Transformers are devices that typically step down voltage in an appliance. In most furnaces they step 120 volts down to 24 volts. The 24 volts then is used as control voltage to the thermostat, other safety devices and relays in the furnace or air conditioner. What is a main limit? Main limits are safety devices. When they get to hot, they open and turn off the gas. Furnaces contain overheating protection by means of a limit or main limit. Burner turns off before thermostat temperature is reached. Burners ignite again in only a few minutes after they went out. Diagnostic light says main limit open. Furnace keeps turning off and on when thermostat still should be calling for heat. Secondary heat exchanger is clean. Cooling evaporator coil is clean. Cold air returns and registers are open. This is just one example of many. However, all roll out limits must be manually reset. These limits trip if flames ever roll out of the heat exchanger, or flames burn where they are not supposed to be. If a roll out trips the potential of having a major problem with the burners are high and a service tech should probably be called to diagnose the problem. There is a button on the outside unit...Why do I have to keep pushing it? This button is called a high pressure cut out. It trips when the indoor airflow is poor. See "Why is my furnace overheating for solutions to this problem"
Check out these tips and explanations from our Electrical Expert. Of course, you're also welcome to post questions to this board for more information: Just click the "Ask about Electrical & Lighting" button at the top of the page.